The Good Shepherd Church provides a wonderful setting for us to worship God and participate at Mass and the sacraments. It is, though, a challenge to maintain and develop it now and for the future. Beautiful though it is, the Church building has deteriorated over time, requiring a substantial range of essential repairs. This has included re-roofing the Church, providing new lighting, upgrading the kneelers and remedying water leaks. We have also recently replaced the worn-out Church heating system, upgraded the sound system and re-carpeted the Sanctuary. These improvements, carried out under the supervision of the Historic England organisation, should be good for many years to come. Future required work will include repairing or replacing the concrete mullions (which separate and support the Church windows). On top of this, there is a need to address a range of issues identified in our Parish property maintenance plan, including areas of the Priest's House, which has been neglected over recent years. We have had to borrow funds in order to carry out the range of repairs and improvements which have been already been made. The further required work will mean that our current debt will inevitably increase. We have to secure sufficient funds to support the Church's day to day needs and to service the current and future debt. The challenge is significant but achievable, given your continued help and proven generosity. Regular planned giving is the most effective way of financially supporting the Church. There are two ways of doing this - by bank standing order or through weekly offertory envelopes. This is the best way to support the Church financially. It helps our financial planning as we know we have a regular and consistent level of income. It cuts down on bank charges and administration. You simply commit to give a regular amount- usually monthly- directly from your bank account. The standing order can be easily set up, changed or cancelled. Standing order forms are available either from the Narthex in the Church, by contacting a member of the Parish Finance Team, through the Parish website, or by emailing or telephoning the Church (contact details are to be found at the end of the leaflet). Completed forms, placed in an envelope marked "Finance Committee", may be given to a member of the Finance Team or posted to the Church (use the office letter box in the Narthex on the right as you enter Church). We will then forward the form to your bank. This is the next best way of helping. Using the envelopes doesn't commit you to a specific offering each week but enables us to keep a confidential record of planned giving and claim Gift Aid where appropriate. If you want to use the envelopes for your offering please either contact a member of the Parish Finance Team, or email or telephone the Church. After your first allocation of envelopes, a fresh supply will be issued to you for the start of the new financial year each April. Gift Aid is a very important way by which we can increase our income. If you are a UK tax payer, we can increase any donation you give by 25p for every £1 donated. We do this by reclaiming income tax from HM Revenue and Customs, under the government's Gift Aid arrangements for registered charities. This is perfectly legal and won't involve you in any work or cost. The only condition is that you must have paid at least as much tax as we claim back. So, if you are a tax payer and make a donation to the Church, either through a bank standing order or the weekly offertory envelopes, please complete a Gift Aid form if you haven't already done so. We will do the rest. Gift Aid forms are available either from the Narthex in the Church, by contacting a member of the Parish Finance Team, through the Parish website, or by emailing or telephoning the Church (contact details are to be found at the end of the leaflet). Completed forms, placed in an envelope marked "Finance Committee", may be given to a member of the Finance Team or posted to the Church (use the office letter box in the Narthex on the right as you enter Church). We can then claim back the tax direct from Revenue and Customs without any further involvement from you. Individual circumstances differ, so each person needs to decide for him/herself what they can afford to give. One suggestion, for people who work, would be to give the equivalent of one hour's pay each week, but we understand that some people can give more, others less. Please think and pray about what our Church means to you and what you can give. Whatever you are able to give, it is important to keep it under regular review. Like everyone else, the Church is subject to inflation and other unexpected costs. We can't survive on a fixed income. The Church isn't a business, but it has to have a balanced budget to enable it to function. Please think about how much you give each year and, if your financial circumstances permit, we would ask you to consider increasing your contribution. If you pay by bank standing order a new form must be completed if you wish to increase the existing level of payment. Young people are the future of the Church. If you are in or starting paid employment, and do not currently give to the Church, please consider signing up for our planned giving arrangements. If you are thinking of making or amending a will, please bear in mind that legacies are another very helpful source of funding. Perhaps you could include the Parish as a beneficiary? Legally, any such bequest has to be in favour of the Diocese on behalf of the Parish as it is the Diocese that is the recognised charity. We can, however, on request, provide an appropriate form of words to include in your will that satisfies the legal position in that respect. One-off donations to the Church are also always very welcome. Any such donations may be eligible for Gift Aid as previously explained. 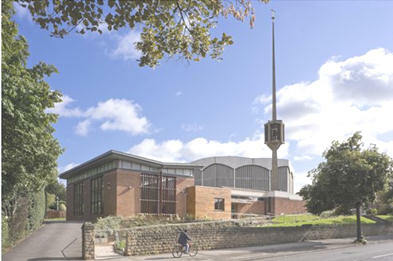 In addition to the programme of essential maintenance and development work described earlier, the Church has continuing and increasing financial commitments in terms of its running costs, such as heating and lighting. We also have to pay the Diocese an annual quota (currently over £27,000 per annum). Finally, we do recognise and appreciate the exceptional generosity of our parishioners over the years. Thank you.